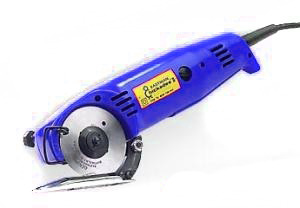 *Blue Chick B is exactly the same as Eastman Red Chickadee D2 Commercial Grade Lightweight Rotary Knife Fabric Cutter Shears, 2.25" Blade, 40% More Power, Sharpener, 2 Pounds. Same specs as Eastman Red Chickadee sold to garment factories at a higher price below. Cuts drapery, canvas, felt, Lycra, poly, cotton, leather, Quiltlok, etc. Serial Number is on the box in case you need it. 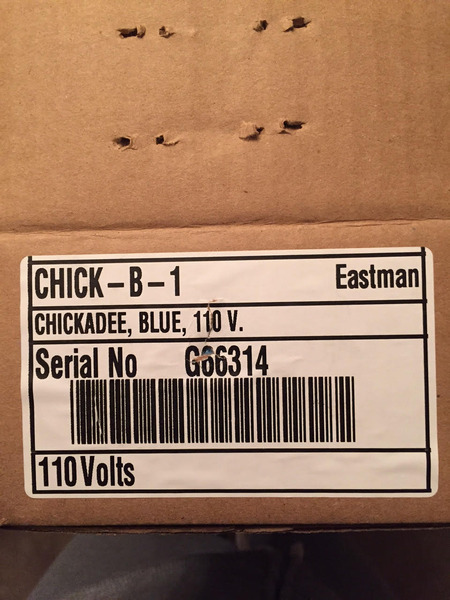 The Eastman Chickadee Red Factory Rotary Cutter has exactly the same motor specifications as the Chick-B Blue Rotary Cutter, just a different color and different distribution. Also, the Eastman Chickadee is 40% more powerful than any competitor's cutters in this price range. This chickadee was easy to order and came quickly. Your customer service representative is outstanding. Wonderful customer service, they went above and beyond what any other company would have done. I would highly recommend Allbrands.com!! I am happy with the new knife. I liked your web site and after I ordered, I liked your follow up email with the tracking link. Nicely done.